Broadcast to your website, mobile, and event displays to engage people instantly. Highlight a Call To Action in your Event. Engage people on their device of choice. Get consent to repurpose UGC at scale. Glow makes it easy for brands to engage consumers with authentic content. Create dynamic playlists that work on any device. Effortlessly curate UGC, and clear usage rights for brand marketing. 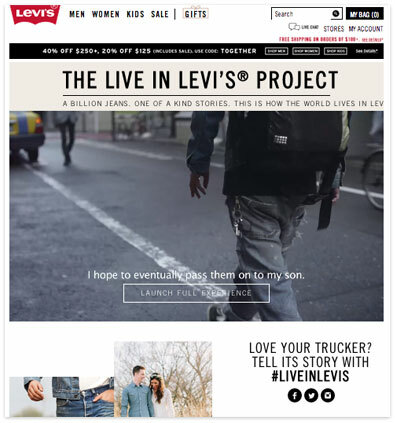 Levi’s allows fans to upload photos of themselves and features them on their brand site along-side their favorite Levi's products.